It’s true, children really do grow like weeds – blink and you’ll miss it! 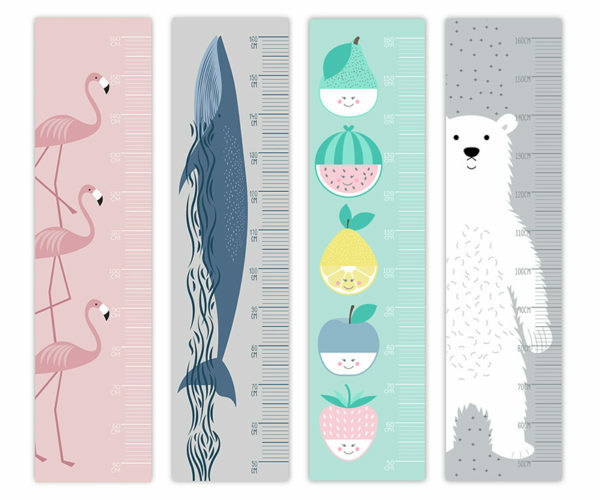 We’ve found seven awesome height charts to track how the kids grow – in styles from big and bold to sweet and discreet. A height chart with a difference, the I’m As Big As… height chart (pictured above) makes tracking height really fun! Children can compare their height measurement to that of a jockey, a yeti or even a NASA astronaut! The I’m As Big As… height chart, $37.50, is available from Hard To Find. A discreet, self-adhesive height chart designed to fit in (you guessed it) a door jamb, this little beauty will save your walls from years of pencil etchings. 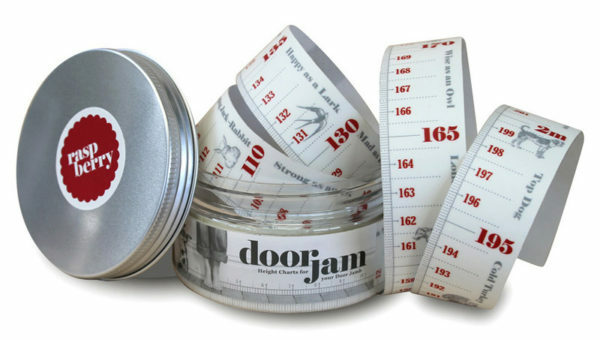 We’re spoilt for choice with five Door Jam flavours to choose from, each a different colour and a different theme – so fancy! Priced $28 each, order direct from Foolhouse. 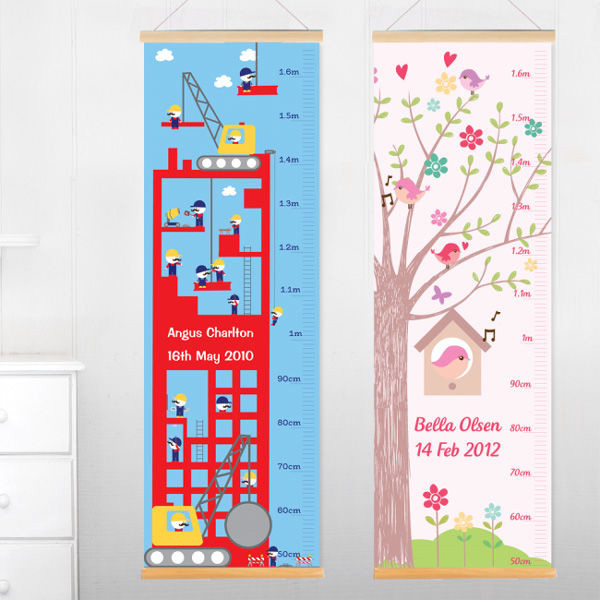 Beautifully printed adhesive height charts that can be moved and repositioned are a brilliant choice for renters who don’t want to miss their children’s growth milestones or mark walls. Available in whale, flamingo, fruit face and polar bear designs, they’re priced $69.95 from Two Little Ducklings. 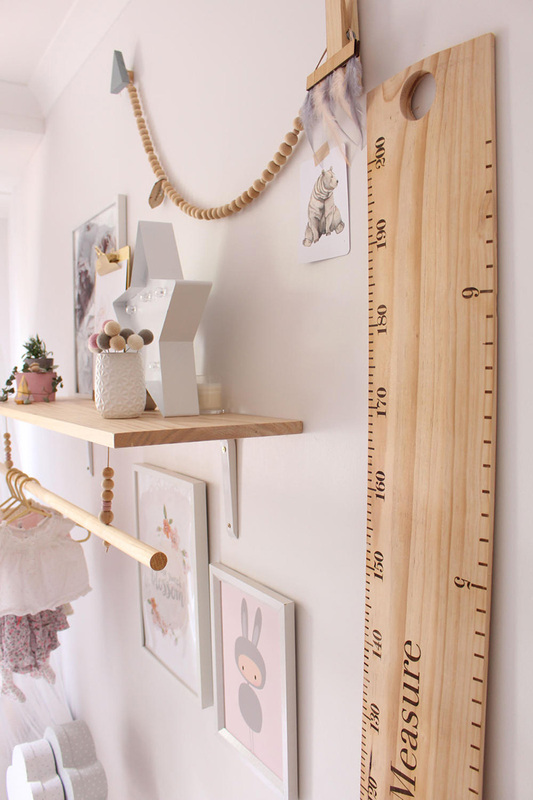 Steeped in nostalgia, I adore the Old School Ruler Height Chart from Etsy store GrandadPats. Just as its name suggests, this cracker is a gigantic version of the wooden school ruler many of us would have had as children. Standing at over 2m tall, choose from four wood finishes and put a personal stamp on it by adding your family name! Priced $139.94, available at GrandadPats. Add a personal touch and make your child’s height chart extra special with their name and birthday printed on it for all to see. Stuck On You offer a huge amount of designs to choose from – you can even choose your own font to match. Amazing! From Stuck On You, priced $49.95. Don’t have the wall space for a height chart? No worries! The bamboo Megarule Folding Height Chart whips in and out for a quick check of how fast everyone is growing. Simply make your mark on the ruler, fold and put back in a drawer for safe keeping, too easy! Find it at Peter’s of Kensington, priced $71. For the stationery lovers among us, this sweet bright red pencil is perfect for tracking how littlies measure up! 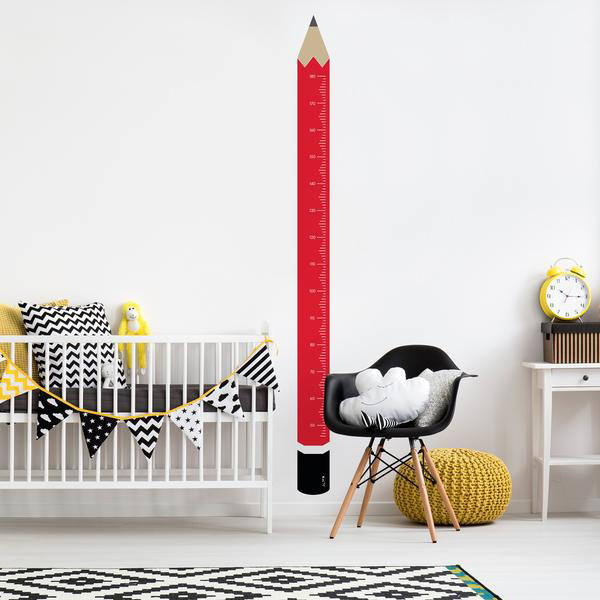 Pencil Height Chart Wall Decal, $97 from Alma Designs.